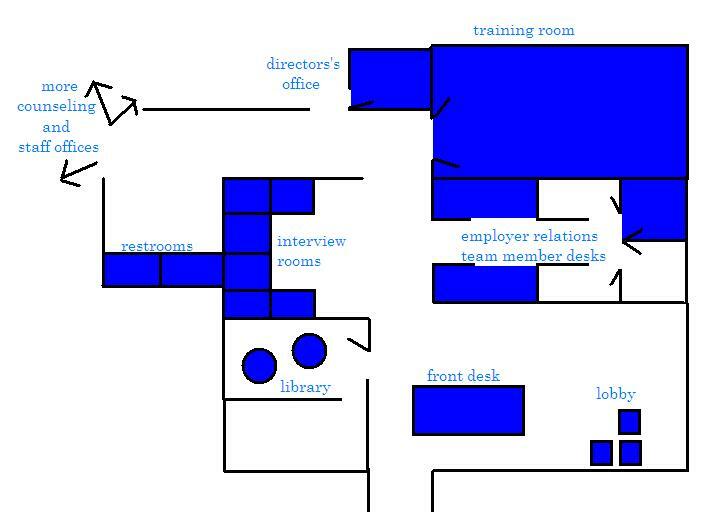 Library: Can be reserved by employers looking to host “drop-in” hours (much like a professor’s office hours). Training Room: Can be reserved (for a charge) for employers looking to host info sessions and networking events. Employers who volunteer to host workshops will also find themselves using this space. Hopefully offering this as a visual really shows just how much of our center is available for you. The good news? Anytime an employer is coming to recruit on campus and to use one of these areas, we will help get the word out about your visit. Interested in a tour? Let me know! This entry was posted in Career Center, Employer Relations and tagged employer visits, recruiting, recruitment, Welcome. Bookmark the permalink.